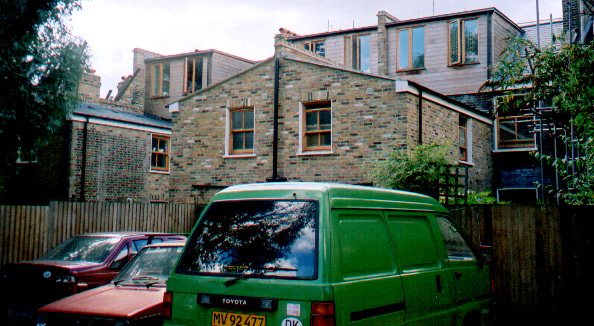 London Fields Solutions were a cooperative housing group of 60 people occupying these dilapadated terraces in Hackney. The buildings were in desperate need of renovation. Having obtained a private construction loan and training finance for housing management, the group employed us to design the conversion and renovation work. 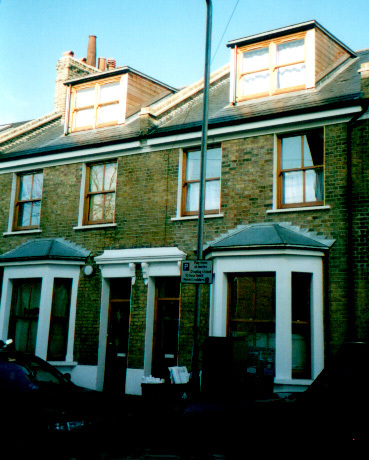 The six 2-storey and twelve 3-storey houses were converted to a mix of live/work flats, maisonettes and shared houses. A tight budget has dictated basic repair and affordable energy efficiency measures. The layouts give reasonable space standards and useable living and home working areas. Poor quality 'London' roofs were replaced by flat roof terraces that evolved into 'hanging gardens'. New rear extensions were built in timber frame with cellulose fibre insulation and Cedar cladding. New dormers added attic rooms to the two-storey houses. 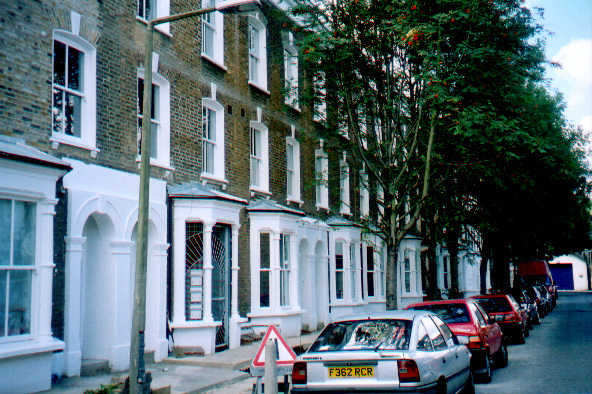 Converted front bays became secure passageways to the rear external staircases on the three- story flat conversions. 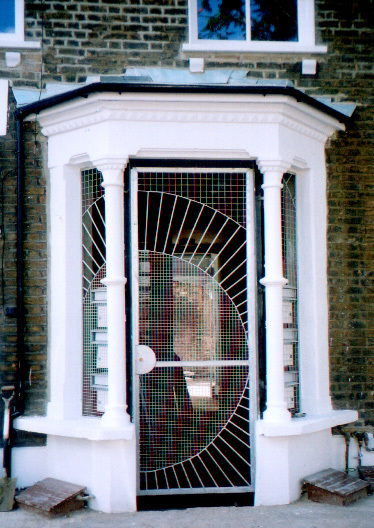 Local metalworkers made the most of the design opportunity afforded by the gates and grilles. A training programme in sanitaryware, joinery and decoration took place, allowing the group to earn 'sweat equity' by undertaking plumbing and joinery work. Construction commenced July 2000 and was completed August 2002. Managed by SOLON Co-operative Housing Services. Part Funded by the European Union Single Regeneration Budget.